Whew! We finally made it to the top at 14,110 feet above sea level. There was snow every where. The visitor center was covered in it, except for the entrances. It was awesome! 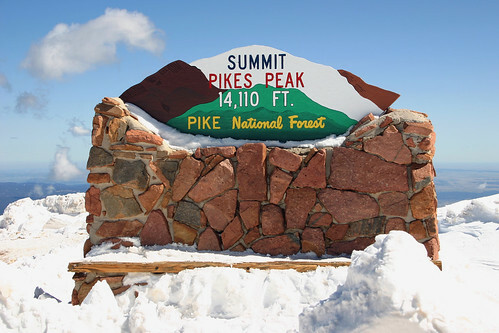 This entry was posted on April 17, 2008 at 8:01 am and filed under Colorado, fourteener, mountain, Pikes Peak, snow, vacation.